Hey guys! Are you ready for school to end? We have until June 1st, which just so happens to be my 32nd birthday! 50 points for anyone who remembers come next friday! Organize & Decorate Everything painted just the edge of her door. OMG BEST IDEA EVER!!!!!!!!!!!!!!!!!!!!!!!!!!! 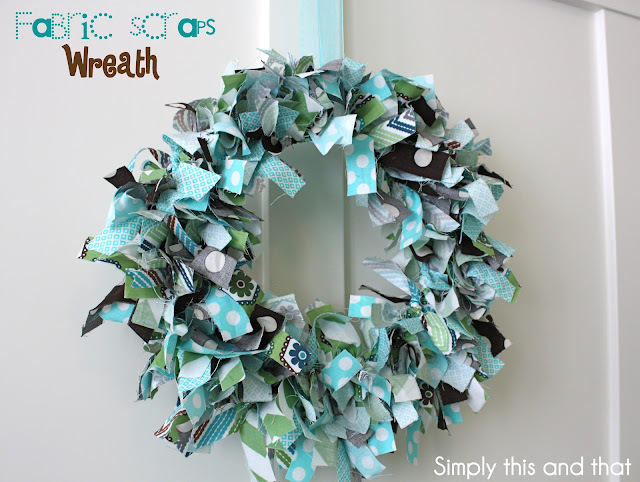 I’m totally digging this adorable fabric scrap wreath from Simply This & That. 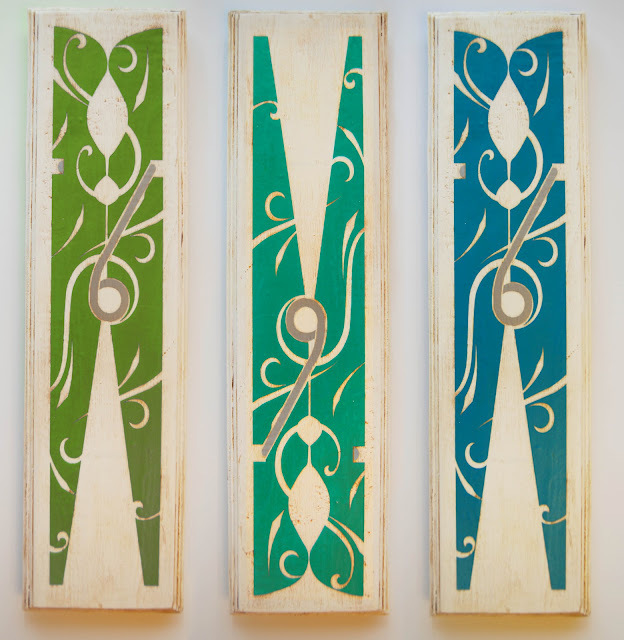 Burton Avenue shows how to make these adorable clothespin art pieces but also gives you the clothespin download for free! Yippie!! I’m so doing this. Hands down best cookie I’ve ever seen. A HUGE Words with Friends cookie board with mini cookie letter tiles. You can actually play this! Kudos to Lizy B for being awesome. The Velvet Door shows us her amazing master bedroom makeover. Great job! 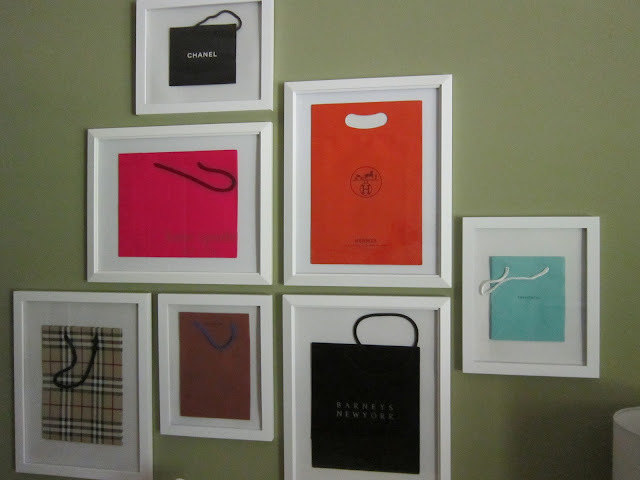 This is such a fun way to display all those expensive shopping bags! You know, assuming I even had any! ha! I love this framed bag art from Design Megillah. Twin Dragonfly Designs shows how to make this adorable camping t-shirt. 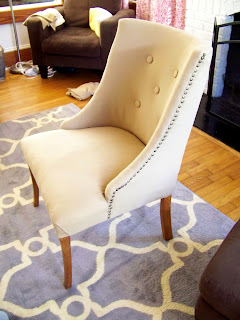 How cow, this is an amazing chair makeover. It now looks exactly like the one at West Elm. I am super impressed yet again with The Life of CK and Nate. Great blog, btw. Scissors & Spatulas took an old frame and added a chalkboard decal to the middle for the most adorable little command center ever. Check out this amazing bathroom makeover from Soul Style. I love the stripes! 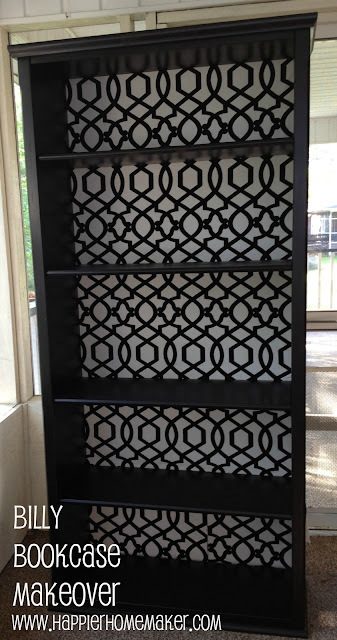 The Happier Homemaker made over a boring bookshelf using paint and fabric. Such a pretty bookshelf now! 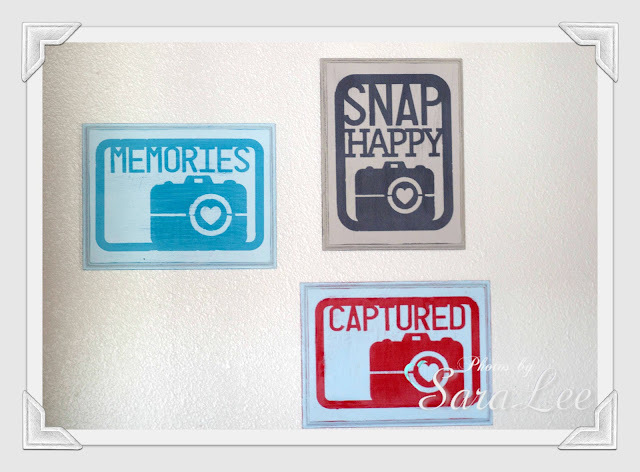 Sweet Little Gals used her vinyl maker to create these adorable little camera signs. I want one! Thanks for hosting! Off to check out some of those wonderful features. Oh my! Thank you so much for featuring my cookie, and more importantly, thank you for the kind words!!! These cookies are a labor of love, but its so nice to hear that they are appreciated! Such fabulous features this week! Thanks for hosting Allison! We’ve got til June 21st til the kids are done school – I will bask in peace and tranquility until then! Thanks Allison for featuring my wreath! I’m super excited!! Thanks for hosting each week too! Shut the front door!!!! Thank you SO much for featuring my Camping T-shirt! Much LOVE <3 And thanks for the fab party as always! I love coming to your party every week. Thanks for hosting! Thanks for another link party. I linked up a healthy and simple No Calorie Sweet Green Tea recipe (#63 in the recipe section) that’s a great alternative to soda. Perfect for hot summer afternoons! Hope you like it and have an awesome week! Thanks for hosting, Allison. Have a great weekend. Thank you so much for hosting!! Lovely features. Thanks so much for hosting again! LOVE that Words with Friends cake!! and happy birthday a little early to ya! Thank you so much for the awesome party! Hi Allison! 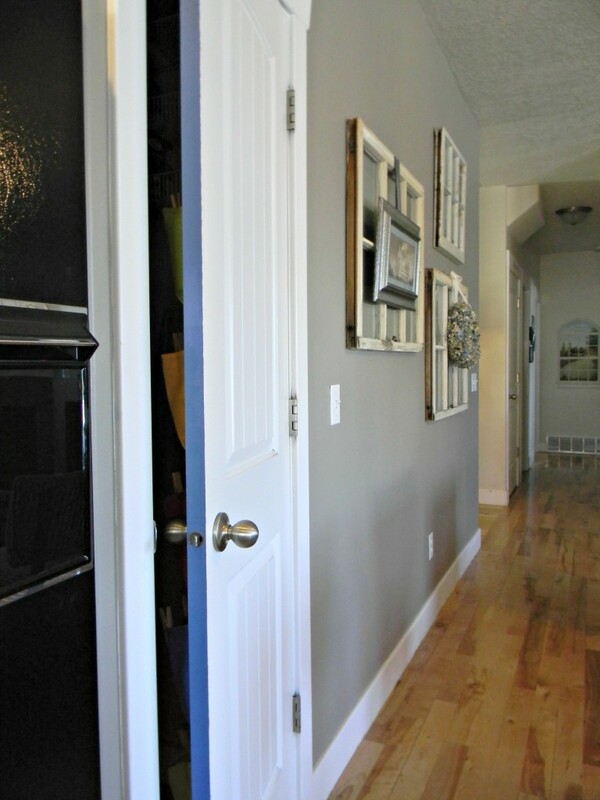 Thank you so much for featuring my painted door edge. It makes me happy everytime I open the door. Loving all of the features but those cookies are A-WESOME! Gonna check some of these fab posts!! Great features. Love your daughter’s curtains too. THANKS for hosting! Hi there! Thanks for hosting! I am now following your new Pinterest board, what a great idea! 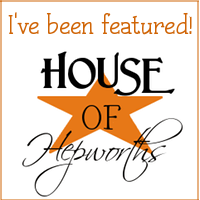 Thank you so much for hosting each week, I really enjoy your blog and the party is fabulous!